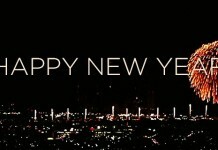 Well all of us believe that there are millions and millions of goddesses. All the goddesses have their own myths and stories. Well its a well known belief in Hindu mythology that all the Goddesses are different images of a supreme single goddess Adi Shakti. 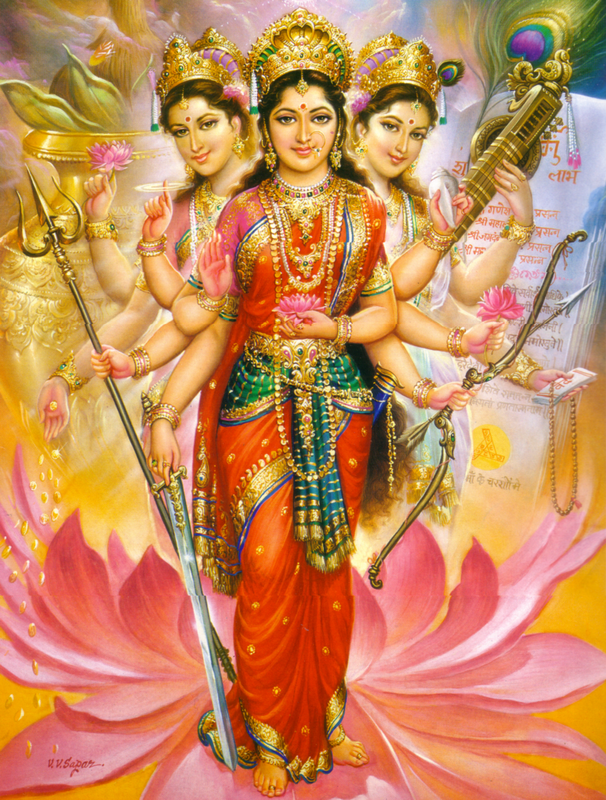 We all know that without the Tridevi Trimurti will become so weak that they cant even lift up their fingers hence it is said that Trimurthi are incomplete without Tridevi. 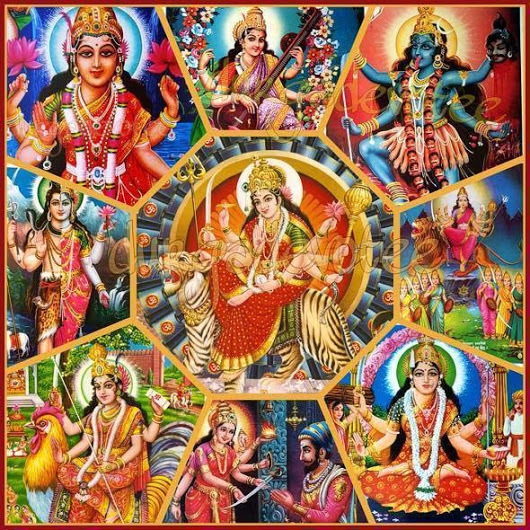 Our Vedas also mentions a lot of Goddessess. 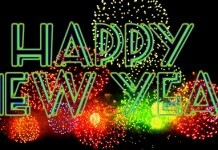 Hence here we are for you along with the list of top ten Goddesses. Well we know that in our mythology it has always been told that goddesses are the mother of this universe and hence they alone possess the powers which are capable of creating and destroying the world. 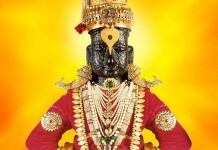 Bhuvaneshwari is the Ishvari of this whole world and is the prime force Parashakti. It is said that once the Tridev were fighting over the matter of supreme power when she proved that she is the supreme power of the universe. Annapurna is the goddess of cooking and food and she holds the power of providing food to infinite number of people. She is considered as an incarnation of Goddess Parvati. She also represents the divine aspect of the nourishment. She shows the spirit of holiness in cooking and energy for achieving the enlightenment and knowledge. 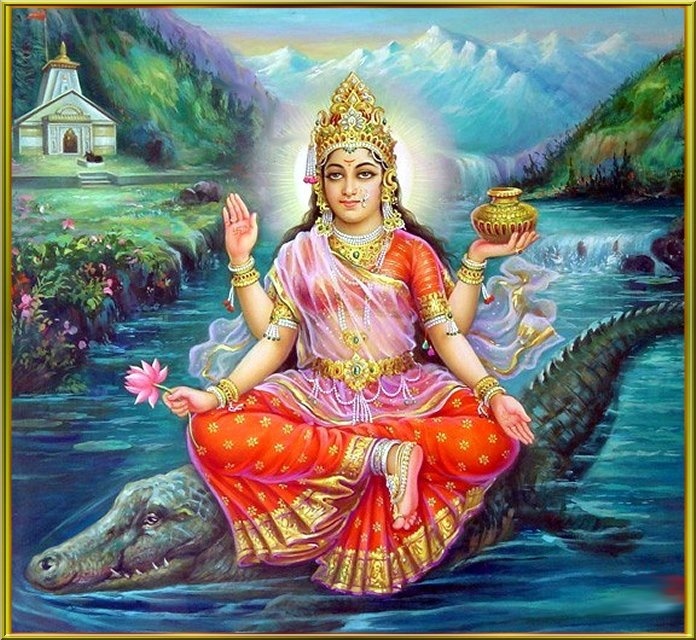 Ganga is considered as the Goddess of river Ganga. She is said to be born from the kamandula of Lord Brahma, it is sadi that she was very pretty. She became river due to curse of Rishi Durvasa who cursed to be incarnated on the earth in form of a river. After a long worship from seven generations of King Anshuman Ganga was finally brought to earth by Bhagiratha with the help of Lord Shiva who captured Ganga in his hairlocks and later on released a small part of her on earth. 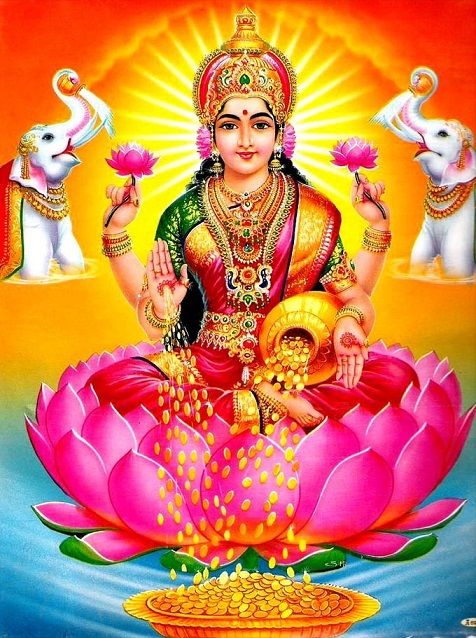 Also known as Shri Lakshmi is the goddess of wealth and prosperity. She is also one of the Tridevi and is the shakti of Lord Vishnu. 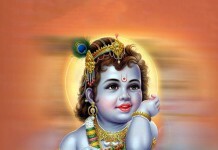 Like Lord Vishnu Goddess Lakshmi also have many incarnations like Sita and Rukmani, etc. She is the symbol of good luck and she is the most favourite goddess of women and household families. She represents the prosperity for both aspects of life i.e. spiritual and material. 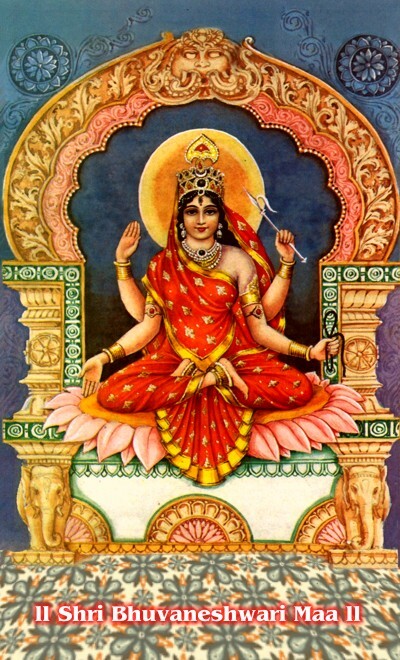 She is depicted in her images as a golden complexion woman holding a lotus and sitting on the same which represents the purity, fertility and beauty. Along with that she also drops gold coins in her images which shows wealth. Parvati is wife of Lord Shiva and hence is the part of Tridevi. She is considered mostly as a mother goddess. She is known as Parvati because she is called as th Himalya’s daughter. She uses lion or tiger as her vehicle. Her other names are Ambika, Gauri, Shyama, Kali, Durga, Bhavatarini and Bhairavi. Every god in our mythology have his own Shakti without which he is powerless for eg, Lakshmi is shakti for Vishnu whereas Parvati is shakti for Shiva. 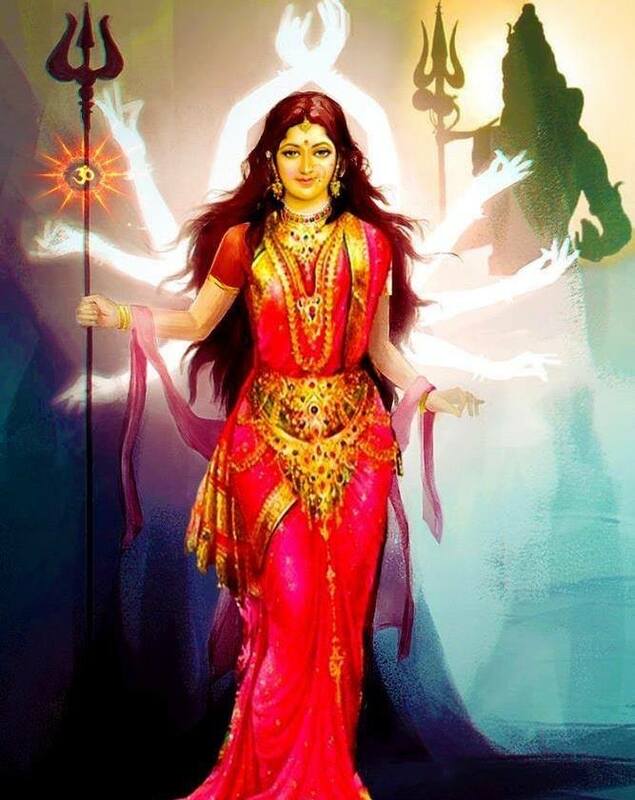 Shakti is known as Mahadevi as she have various roles of Parvati, Durga, Sati and Kali. 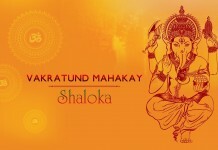 The people who worship Shakti utilises the energy of Tantra Yoga and Tantra uses to believe that Shakti is the creator, destroyer and preserver of the world. Goddess Vaishnavi residing at and popularly known as Vaishno Devi is also considered as Mother Goddess manifestation. 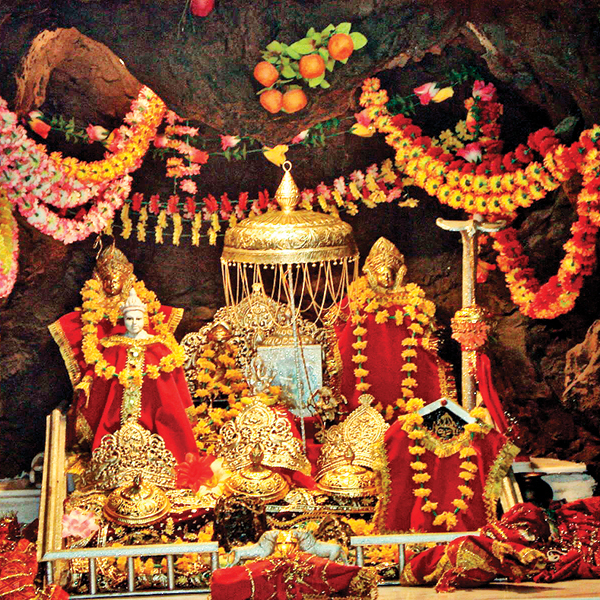 She is situated at a shrine Near Katra at Vaishno Devi where every year near about 8 million pilgrims visit the temple. She was booned by Lord Rama that she will marry the tenth incarnation of Lord Vishnu i.e. Kalki. 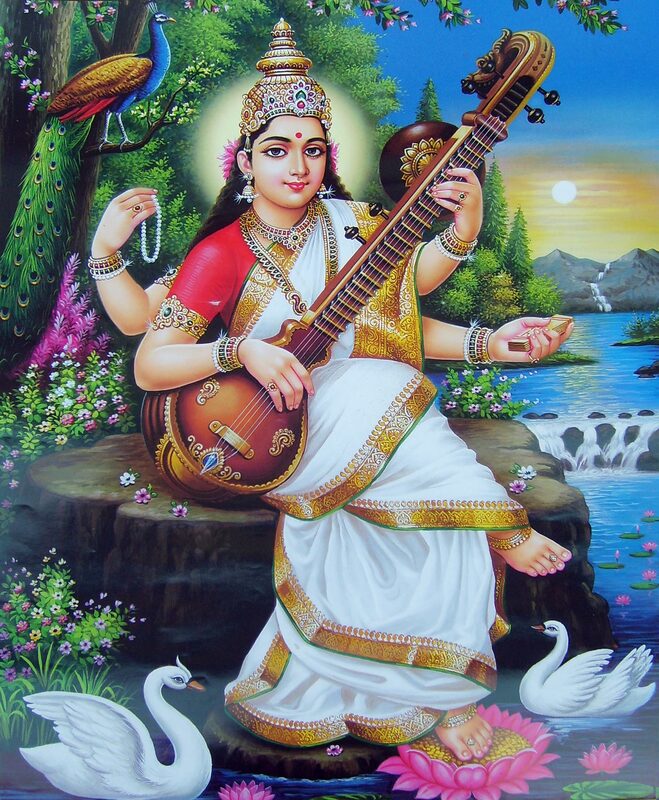 Saraswati is the goddess of learning, knowledge and speech as she is also known as Vak Devi. She is also considered as the goddess of music, art and wisdom.She was also mentioned in the Vedas and is married to Lord Brahma. She is also known as the mother of the Vedas and Saraswati Vandana is always performed at the beginning and endings of the Vedic lessons. Sometimes she is also considered as the daughter of Lord Shiva and Goddess Durga. 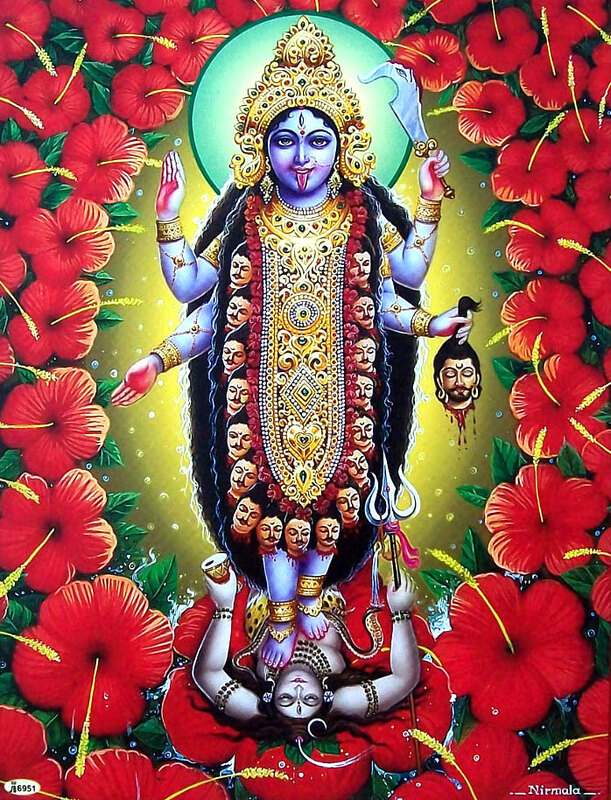 Kali is actually the ferocious and the fearful image of Goddess Durga. It is said that during a battle of Goddess Durga, Goddess Kali was born from her eyebrow. She have red eyes with anger and have face and breasts blood sullied, moreover her tounge is protruded from her mouth. She is the most fierce deity in the whole world. She is often depicted in the images which shows her standing on her husband, i.e. 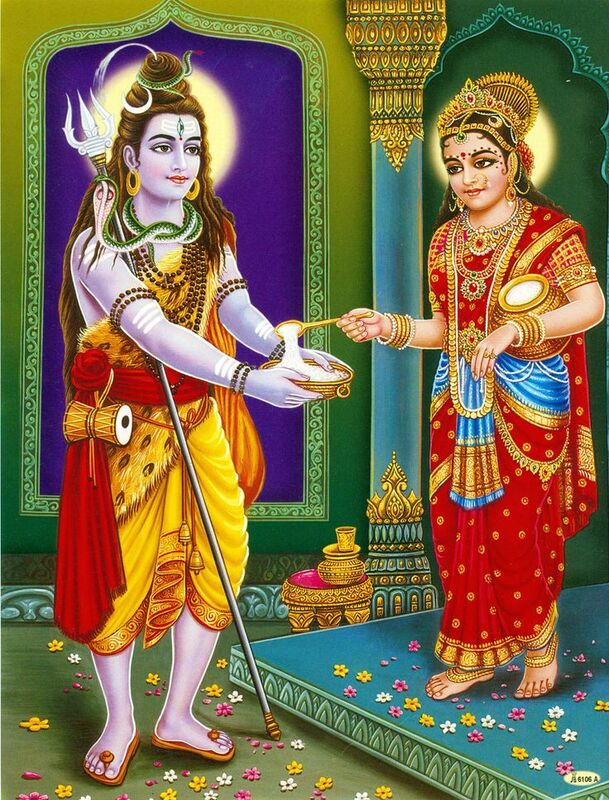 Lord Shiva in which her one leg is on his chest while other one is on his thigh. 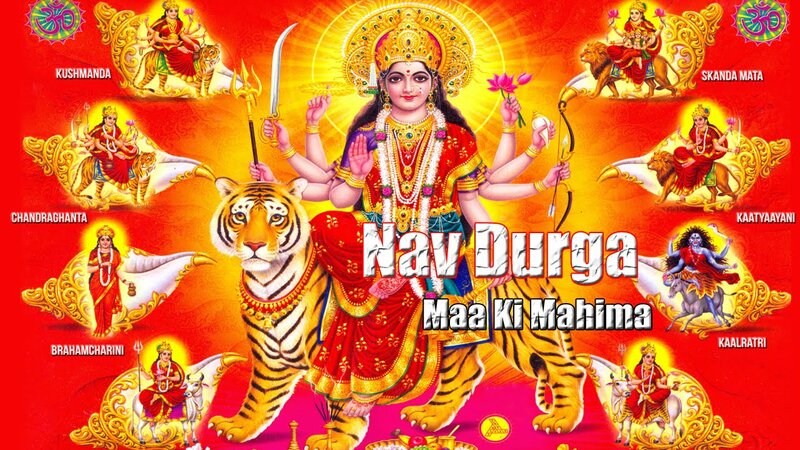 Goddess Durga is the ultimate mother Goddess and is the most fiery power present in the gods and goddesses. She is known with various names all over the world i.e. 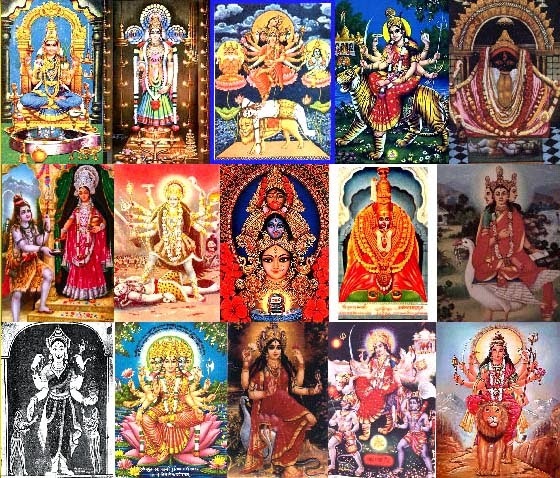 Amba, Chandika, Durga, Sherawali, Bhavani, Vaishno Devi, Parvati, Gauri, etc. She is considered as the destroyer of the evil and the protector of the right. She is the personified form of the Divine shakti of all the Gods and Goddesses. In her images she is shown as carrying weapons in her many arms and riding on a Lion. Women are always seen as a subordinate to men. Be it in any country or culture, the position of women is always substandard when compared to men. Though many people strive on the rights for women, the patriarchal society overpowers women’s right in all means. 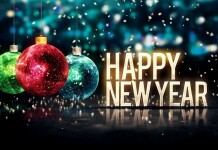 However, India is known as a spiritual country where devotees worship hundreds of deities. Hindu Goddesses are considered to be very powerful and are worshiped with pious and respect. Previous article10 Most Unforgettable Characters of Mahabharata!